Cheeseburger soup with potatoes, carrots, onion and hamburger. Easy to make and goes great with a warm, crunchy bread. I actually made this soup without the slow cooker. 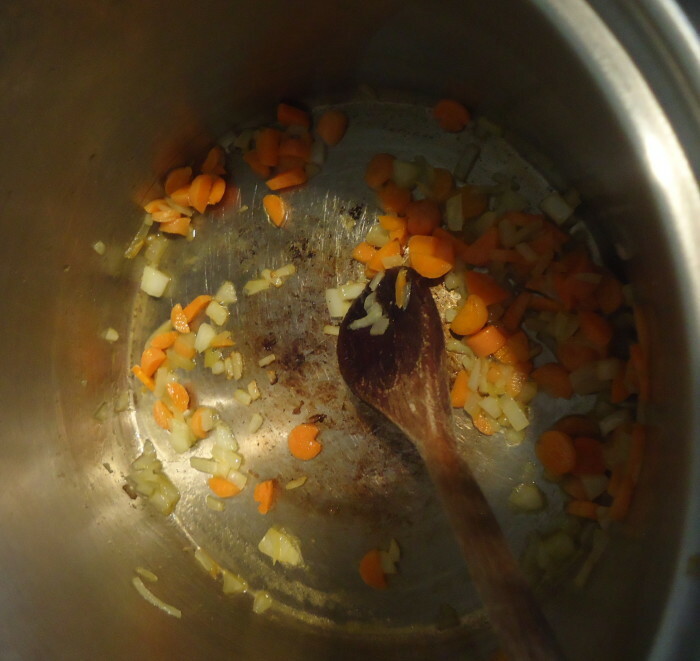 As the skeptics hovered near the stove as this soup was cooking, I got a lot of distrusting glances. Why, I do not know. It has all of the ingredients they like, or at least tolerate. Read: carrots and onions. They like potatoes in soup and hamburger of course. It is just something new, I suppose. I made this Cheeseburger Soup between picking the kids up from school and when we usually have supper. May I stress, we are not crunchy potato people. Meaning, if we eat potatoes in something, they need to be soft. End of discussion. This soup in the short amount of time to make it, even had soft potatoes. :: Most of these recipes call for processed cheese. We didn’t use it. I used regular shredded cheese. It probably didn’t melt as well, but we still liked it and it tasted wonderful. :: I did not want flour in the recipe so I used cornstarch to thicken it. You can use a flour mixture (a roux) but this way it can be gluten free. Cheeseburger Soup is a delicious and enjoyable soup perfect for those cold months.